Vancouver Police are asking for the public’s help to locate a missing man with dementia who walked away from Mount St. Joseph Hospital at 3080 Prince Edward Street at approximately 7:00 p.m. this evening. Fan Kong is Asian, 75 years old, 5’4″ tall and 130 lbs., with grey hair, and brown eyes. He was last seen wearing a grey hat (possibly the same as in his photo), a white collared shirt under a long sleeve blue sweater, grey pants, and dark shoes. Mr. Kong walks with a slight shuffle and does not speak English. He has severe dementia, and police and family are concerned for his well-being. Area searches by police around his care home, the area where he went missing from, as well as checks of public transit, other Metro Vancouver police agencies, taxi companies, and local hospitals, have failed to turn up any sign of Mr. Kong. The Vancouver Police are asking anyone who sees Fan Xin Kong to contact police, and wait with him until officers arrive. 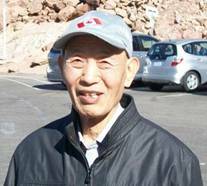 Family have provided Vancouver Police with a more recent photo of missing person Fan Xin Kong. The 75 year old Vancouver resident went missing yesterday at approximately 7:00 p.m. after walking away from Mount Saint Joseph Hospital. Mr. Kong who suffers from dementia has still not been located, and police are becoming increasingly concerned for his well-being. 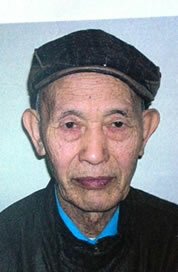 He is described as Asian, 5’4″ tall and 130 lbs., with grey hair, and brown eyes. He was last seen wearing a grey hat, a white collared shirt under a long sleeve blue sweater, grey pants, and dark shoes. He walks with a slight shuffle, and does not speak English. The Vancouver Police are asking anyone who sees Fan Xin Kong to contact police immediately, and wait with him until officers arrive. RCMP and Search and Rescue continue to search the Del Rio area north east of Chetwynd B.C. 68 year old Daniel KOENIG is in the early stages of Alzheimers and was last seen on July 12, 2012. Police have since confirmed that a friend of KOENIG’s saw him driving his truck on the Forest Service Road where it appears he abandoned it after running out of gas. Search and Rescue Teams from Chetwynd and Fort St John have been conducting a ground search as well as an aerial search with the help of RCMP Air Services. The Air Services plane was equipped with FLIR which is used to detect heat sources. KOENIG has yet to be located but the search team has increased with over 10 RCMP police officers from Chetwynd and an additional 10 police officers from surrounding detachment areas. Our search teams have increased with the arrival of more RCMP members Stated Cst. Lesley Smith, North District Media Relations We are also looking at the possibility that Mr. KOENIG was picked up by a passing truck along that service road. Chetwynd, B.C.- Search and Rescue , RCMP Air Services, Chetwynd RCMP, the RCMP Dog service and PEP are searching a remote area north east of Chetwynd for a missing Chetwynd man. The elderly Daniel Koenig was last seen July 10th, but his vehicle was discovered last evening in the Del Rio area northeast of Chetwynd. Daniel Koenig is in the early stages of Alzheimers. He was last seen wearing blue jeans, a brown/orange plaid jacket and was wearing a grey/black ball hat. Please help his Mom find him. It has been three years this week since Gina Degerness last saw her son Luke. He was 14 at the time. 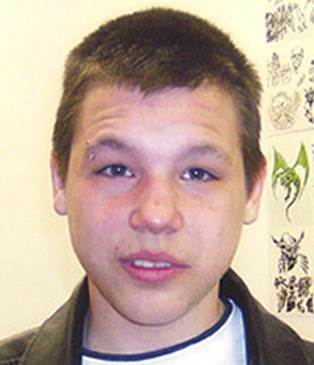 2012-06-05 13:08 PDT On June 7th, 2012 the Prince George RCMP in partnership with the Missing Children Society of Canada, will hold a media conference regarding the ongoing investigation into the disappearance of 14 year old Lucas James Degerness. Investigators are still seeking key information that is needed to resolve this case. A representative of Lucas’ family, Prince George RCMP spokesperson Cpl. 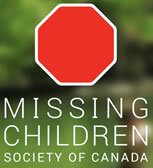 Craig Douglass and representatives of the Missing Children Society of Canada, will be in attendance to speak to media. If you have any information about Lucas James Degerness or where he might be, please contact the Prince George RCMP at (250)561-3300 or anonymously contact Crime Stoppers at 1(800)222-TIPS (8477), online at External Linkwww.pgcrimestoppers.bc.ca, or Text-A-Tip to CRIMES (274637) using keyword "pgtips". The Prince George RCMP with assistance from the Prince George Search and Rescue Society conducted a ground search for 32 year old Barry Blain SEYMOUR on Thursday June 28th, 2012. The search was conducted during the evening of the 28th in the area of the Sunrise Trailer Court on Landsdowne Road in Prince George. This is the area where Barry was last seen on May 23rd, 2012. Volunteer Search & Rescue personnel began arriving at 4:00 PM and continued to arrive as they finished their regular jobs for the day. In all, 15 volunteers searched an area of land equivalent to six Rogers Arenas, according to Prince George Search & Rescue spokesperson, Jeff Smedley. They covered trails, roadways, areas with thick brush and even repelled down steep embankments covered in various types of vegetation. The search of the area concluded just after 9:00 PM with no trace of Barry Blain SEYMOUR found. The Prince George RCMP are thankful for the efforts of the Prince George Search & Rescue Society and pleased with the results. Although we are not able to provide closure to Barry’s family and friends, we can rule out this area and focus more on other any other information that comes in states Prince George RCMP spokesperson, Cpl. Craig Douglass. At this point in the investigation, RCMP have completed an aerial search of the Fraser River between Prince George and Quesnel, a Fraser River shoreline search by boat, a Police Dog search of the area around Landsdowne Road and now a extensive ground search by the Prince George Search & Rescue Society. The Prince George RCMP’s Serious Crime Section continues to investigate the disappearance of Barry Blain SEYMOUR. Officers have followed up on many leads and conducted dozens of interviews. There is no evidence to indicate that Barry has been the victim of foul play. 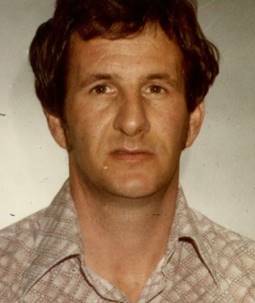 Barry was reported missing to the Prince George RCMP on May 26th, 2012, after the Fort Ware resident had not been seen in a few days. He came to Prince George with family members to attend his son’s birthday and opted to stay in the City for a few more days. Family and friends of Maxwell Brown Jr. continue to pray this weekend as they search for any evidence that may lead to his whereabouts. Family and friends reported Maxwell Brown missing on May 3rd 2012 when his family had not heard from him. Prince Rupert RCMP along with members from the Bella Bella Detachment, West Coast Marine Services, BC Coast Guard, RCMP Air Services and Police Dog Services exhausted their search by covering all geographical areas from land, water and air throughout the first few days of his disappearance. This weekend the Heiltsuk Tribal Council, along with family, friends and community members from the area, will be focusing their search efforts in the Jackson Pass. The Jackson Pass is the water way located between the communities of Klemtu and Bella Bella. The organized search will include boats and other small water vessels so as to cover a larger area with the ability to observe more details. Anyone with information on Maxwell Brown Jr’s whereabouts are asked to contact the Prince Rupert RCMP Detachment at (250) 624-2136 or if they require immediate assistance please call 9-1-1 with their location. 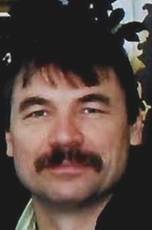 Police are requesting public assistance in locating a 49 year old Kelowna man who has been missing since April. On April 30th, 2012 at 2:15pm, the Kelowna RCMP received a report of a missing person from a residence on the 1400 block of Cherry Crescent. The report indicated that William "Bill" HERMAKIN had not been seen since April 26th, 2012 at about 10am. It was determined that HERMAKIN had picked up his ATV from a storage facility and left with it in the back of his truck. HERMAKIN is under medical care and requires medication for his condition. Police located HERMAKIN's ATV burned up at the Adra Tunnel on the Kettle Valley railway above Naramata, and later located his truck near the old Bellevue Trestle. Police have conducted extensive searches in the areas that both vehicles were located and in between, including the derelict Adra Tunnel. HERMAKIN's whereabouts remain unknown and he has now been missing for six months. HERMAKIN is described as a Caucasian man, 175cm (5'9"), 84kg (185lbs), with brown hair and hazel eyes. He has a scar on his nose as well as both ears. He was last seen wearing a white and green stripped dress shirt with blue jeans. Police are requesting hunters and hikers that frequent the area to keep an eye out for any signs of HERMAKIN's whereabouts and specifically for any items resembling HERMAKIN's clothing. Anyone with information regarding the whereabouts of William "Bill" HERMAKIN is asked to call the Kelowna RCMP at 250-762-3300. RCMP have confirmed an ATV found burned at the Adra Tunnel in Naramata belongs to a unstable Kelowna man who is missing. Const. Kris Clark, media relations officer with the Kelowna RCMP detachment, said William Hermakin was last seen on April 26 at 10 a.m. driving his 1996 Ford F-250 turquoise truck with his quad in the back. A missing persons report was filed on April 30. "Hermakin is under medical care and requires medication for his condition," said Clark. "He left no indication as to where he may be headed or when he might return. It was later determined that he had picked up his ATV from the storage facility where it was normally kept." Hermakin's green ATV was located burned up at the Adra Tunnel on the Kettle Valley railway above Naramata in the early evening of April 29, three days after he was last seen. Clark said Hermakin has a history of violence and may be unstable and anyone who spots him are urged to call 911 and not approach the man. He was last seen driving his truck bearing the B.C. licence plate 1978KB and wearing blue jeans, a green striped long sleeve shirt and a black vest. Hermakin is described as a Caucasian man, 5'9 tall, 185 pounds with brown hair and hazel eyes. RCMP said he has a scar on his nose as well as both ears. Anyone with information regarding the whereabouts of Hermakin are asked to call Kelowna RCMP at 250-762-3300. · Last seen wearing a white and green dress shirt with blue jeans. HERMAKIN's vehicle is a green 1996 Ford F150 with BC plates 1978KB and may be pulling an ATV on a u-built trailer with BC plates 746243. Anyone with information regarding the whereabouts of William HERMAKIN is asked to call the Kelowna RCMP at 250-762-3300. Members of the Kamloops RCMP Detachment are requesting the public’s assistance in locating 41 year old Cassandra Wilson. Cassandra Wilson was last seen on April 6, 2012 and reported missing to police on April 13, 2012. Ms. Wilson suffers from a medical condition and could be in need of medical assistance. Ms. Wilson is a Caucasian, 5'5" tall and 124 lbs. She has bleached blonde hair. No clothing description is available. She is known to frequent the area of St. Paul Street in Kamloops. Police are concerned with Cassandra Wilson’s well being and are asking anyone who may have any information as to her whereabouts to contact the Kamloops RCMP Detachment at (250)828-3000 or Crime Stoppers at 1-800-555-2477. 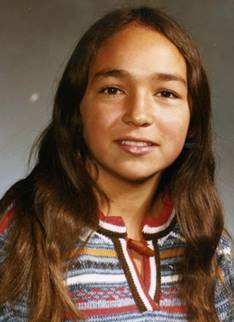 On May 6, 1978, 12-year-old Monica Jack was riding her bike along north on Highway 5A just south of Quilchena near the Nicola Ranch in Merritt, BC. While her bike was discovered a day later, it would be another 17 years before her remains were located on June 2, 1995, in a rural area north of Merritt about six kilometres from Highway 5A. Investigative efforts moved forward and in 2007 her murder was added to the Project E-PANA investigation. On September 24, 1975, 11-year-old Kathryn-Mary Herbert was heading to her Abbotsford home when she disappeared. Her mother reported her missing and tragically 2 months later her remains were located near Harris Road in an undeveloped area. The investigation into her death underwent extensive reviews by various police agencies over the years. In October 2005 investigators from the Provincial Unsolved Homicide Unit assumed conduct of the case. The murder of 11 year old Kathryn-Mary Herbert was heinous and horrific. It devastated a family and deeply impacted a community. The investigation into the murder spanned years and required a concerted effort by law enforcement to gather the necessary evidence to bring charges against a suspect. The journey to arrive at this point, however, was not just the product of a continued effort by police; it was also the result of the tenacity, persistence and love demonstrated by her mother, Shari Greer, says Deputy Chief Rick Lucy of the Abbotsford Police Department. Both Monica and Kathryn were young, vibrant and happy girls last seen travelling on roads not far from their homes. Both children also had incredibly strong mothers – Madeline Lanaro and Shari Greer- who have been amazing advocates for their daughters, says Chief Superintendent Jim Gresham head of the BC RCMP Major Crime Section. Ensuring they had the answers they so rightly deserved was a powerful force that guided us over these many years. While these investigations were led by two different investigative and integrated teams, information has been constantly shared and efforts combined when the same suspect was identified in the two cases. The totality of three decades of investigative efforts has result in 2 murder charges against 67-year-old Garry Taylor HANDLEN of Ontario. Based on the Criminal Code that was in place at the time of the offences HERBERT is facing one count of First DEGREE MURDER in connection with the death of Monica JACK and one count of First DEGREE MURDER in connection with the death of Kathryn-Mary HERBERT. The road to today’s announcement has been long, says Supt. Ward Lymburner – Officer in charge of Special Projects Unit. In Monica’s investigation alone, once it was transferred to the E-PANA team, police reviewed over 500 investigative tasks and then initiated another 241 tasks including re-interviewing individuals and exploring new forensic analysis options. Our efforts to bring the girls’ alleged killer to justice have been extensive and exhaustive. HANDLEN was arrested without incident in Surrey on November 28, 2014. He will remain in custody and is scheduled to appear in Abbotsford Provincial Court on Monday Dec 8, 2014. In order to further our investigative efforts, police are taking the step of releasing of photo of HANDLEN around the time of alleged offense. Police are issuing a plea to the public that if anyone has any information about Garry Taylor Handlen, or the disappearances of Monica JACK and Kathryn-Mary HERBERT, please call the TipLine at 1-877-543-4822. Shari Greer (left), mother of Kathryn Mary Herbert, held a press conference with police to announce the $10,000 reward in the cold case. 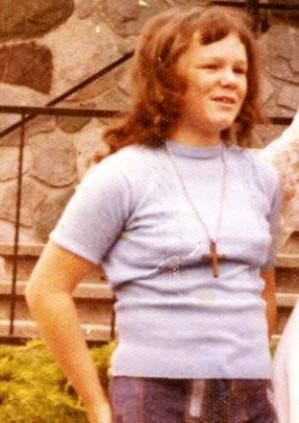 Shari Greer still prays daily for the arrest and conviction of the person responsible for her 11-year-old daughter’s 1975 murder. In early December 2011, shortly after what would have been Kathryn-Mary Herbert’s 48th birthday, the Chilliwack mom feels her prayers were somewhat answered. Greer says she has no idea who dropped the reward off at her Chilliwack home — made out simply to the Kathryn-Mary Reward Fund. 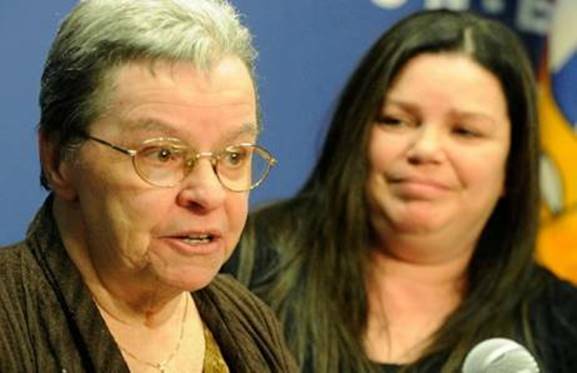 “I was just in heaven, I could not believe that anybody had this kind of kindness in their heart,” said the deeply religious woman, who has tragically buried three of her children. The reward has resparked an investigation that went cold decades ago. RCMP Insp. Gary Shinkaruk said Thursday he admired Greer’s strength and courage in her attempt to generate new information to move the investigation forward. “Thirty-six years does not deter us,” Shinkaruk said, pointing to other 30-plus-year cold cases the RCMP have cracked. Shinkaruk spoke of Kathryn-Mary’s last night in Matsqui. On Sept. 24, 1975, she had visited a friend and was walking home after 8 p.m. when she met another friend who let her “double up” on his bicycle. Kathryn-Mary was dropped off within a mile of her Matsqui home. Witnesses recall seeing a man in a white, American-made vehicle idling between the spot Kathryn-Mary jumped off the bicycle and her home. Her body was found 55 days later a few miles away near a Mastqui First Nation cemetery by residents preparing a burial. Police have had a number of suspects over the years — some still alive — but have never been able to narrow down the investigation. The file was first handled by the Matsqui police then the Abbotsford police. It has now been reviewed by various police agencies. Shinkaruk says investigators have resubmitted exhibits over the years that may benefit from technological advances, such as DNA evidence. He also says the passage of time sometimes helps. “Some of the reasons or some of the relationships people might have with the killer ... that those relationships deteriorate to the fact that they either find some moral compass and the right reasons to come forward,” said Shinkaruk. Two other cold case murders from the same era and area have similar earmarkings as the Herbert case, says Shinkaruk. Greer believes there is someone still out there who knows what happened to her daughter: a bright, musically gifted girl with a voice that will never be forgotten. Two rewards totalling $2,000 were originally offered in November 1975. Greer, who holds an annual grief retreat at her Chilliwack home, says the continued support she gets from others — and her belief in God — helps her continue to cope. Police ask anyone with information to call the RCMP’s major crime unit at 1-877-543-4822 or Crime Stoppers at 1-800-222-8477. I would first like to thank Shari Greer for being here today. None of us can imagine how difficult the last 36 years must have been for her. After all these years, Shari remains determined to do all she can to find answers and find out who is responsible for the death of her daughter, Kathryn-Mary. I admire your courage and strength Shari and thank you for creating the opportunity to hopefully generate more information to move this investigation forward. On September 24, 1975, Shari reported her 11-year-old daughter, Kathryn-Mary missing to the Matsqui Police Department. On November 17, 1975, a partially decomposed body, later confirmed through dental records to be Kathryn-Mary’s, was located near Harris Road, an undeveloped area of the Matsqui First Nations Reserve, by two residents. Evidence from the scene led investigators to believe that her body had been there for some time. An autopsy confirmed that the victim’s death was the result of a homicide. The investigation determined that earlier in the evening of her disappearance, Kathryn-Mary had been at a friend’s house in Abbotsford. At about 8:30 pm, while walking home, she met another friend who “doubled” her on his bicycle and took her part-way home. At about 8:50 pm, they parted company near the intersection of Townline and Marshall Roads in Abbotsford. Kathryn-Mary never arrived home, and this was the last known sighting of her. During the course of their investigation, police identified witnesses who saw Kathryn-Mary Herbert in the company of her young friend. These witnesses also observed a white, older model, American made vehicle, occupied by a lone male, parked south of that intersection. The investigation found that the vehicle, which appeared suspicious to witnesses, was parked between the location the victim was last seen and her home. The occupant of this vehicle was never identified. This investigation has undergone extensive reviews by various police agencies over the years. The purpose of these reviews was to look at previous investigative avenues to ensure that nothing had been missed and develop new investigative strategies that would hopefully lead to identifying and apprehending the person or persons responsible for the victim’s murder. Over the years, investigators have also resubmitted exhibits for analysis to benefit from technology not previously available at the time. In addition to speaking to witnesses, family members and friends of Kathryn-Mary’s, investigators have also spoken to the original investigators of the case as well as followed-up on a number of tips. Unfortunately, the person or persons responsible for her homicide remain at large. Investigators believe that there are individuals who have information that police need to solve this case and bring some measure of resolution to the victim’s family and friends. Investigators urge these individuals to come forward and provide police any information they may have in relation to Kathryn-Mary’s disappearance and homicide. Police are also seeking any information in relation to the suspicious older white American made vehicle and its lone male occupant observed by witnesses in the area the victim was last seen. We believe that this person may have information that could help further the police investigation. I would now ask Shari Greer to say a few words. Good afternoon. My name is Shari Greer. I am the mother of Kathryn-Mary Herbert. Kathryn-Mary was 11 years old when she disappeared and she was found just after her 12th birthday. Kathryn-Mary loved singing. She had a very nice voice and she could play piano by ear. A friend of her’s once told me that she could always remember her beautiful voice. For many years, I have been relentlessly pursuing this case and trying to find answers. Awhile back, I prayed. I asked God to do something because this needs to be resolved. Then one week later an anonymous donation for a reward was given to me for Kathryn-Mary. Someone knows what happened and who did this to Kathryn-Mary. I hope that with the passage of time this person will come forward and call the police with any information they may have.